I'm heading to Florida at the end of the month with my cousin and my aunt for a little relaxing and fun in the sun! I love love love Halloween, it's my favorite holiday! Tied with my birthday. Yes, I consider my birthday a holiday. LONG WEEKENDS FOR ALL! When I realized I'd be away for Halloween, I was really disappointed. I love going out in Hamilton with my friends and seeing everyone all dressed up. But I realized, Florida is warm in October! Warm Halloween! It's a Halloween miracle! 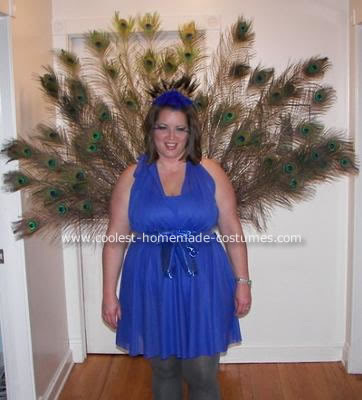 So I'm currently on the hunt for a Halloween costume. Requirements as follows: cute, not too unoriginal, warm weather appropriate and easy to pack. I've had a few ideas so far, so I'm on the hunt to see which is easiest to put together. This was my original idea and I was really pumped for it. I have a black dress that I can stripe with white duct tape already, so I went to Party Packagers to see what accessories they had. This is sort of what I had in mind. Awesome mane-style hair! (Jana's idea). The zebra selection was pretty dismal. Some striped stockings and some cat ears that had black and white stripes. Lame. I also tried out my own version of this zebra makeup and failed dismally (that may be attributed to the three glasses of wine prior to makeup application, so there will be a re-do). Anyways, I don't have high hopes for zebra this year. Again, I'm trying to keep it simple, but still fun. 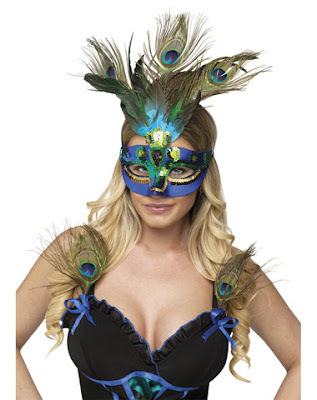 I already have an awesome blue dress, so I figure I can rig up some kind of tail, do some awesome makeup or even find a cool peacock mask. This girl has the right idea with the tail! I haven't gone out on the hunt for things I can use for peacock, so I need to do that this weekend. 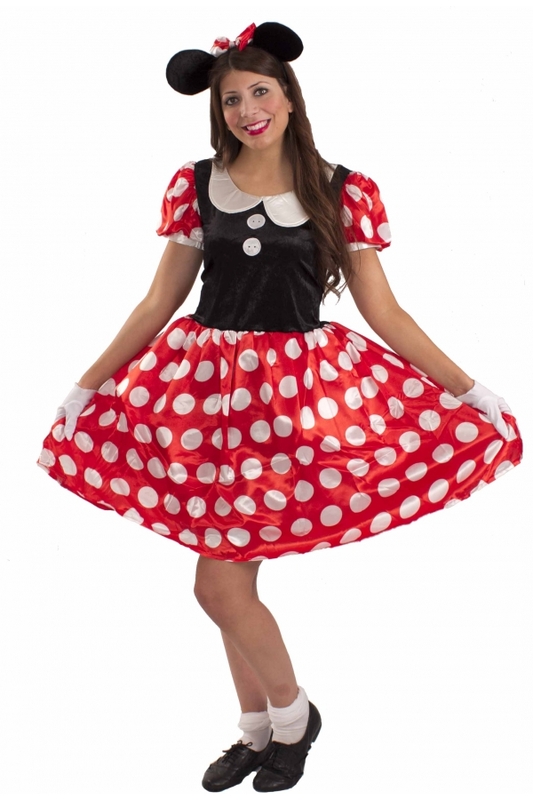 I also thought about Minnie Mouse, you know, in Florida? Cute, right? And just imagine the eyelashes I could wear. Love me some fake lashes. Or a little too on the button? And does Minnie have a tail? (I Goggled, she does). I've always wanted to be Leia too, and that would be easy enough. And the wig- so fun. We know how I feel about wigs. And Rich would love this! Any other suggestions? I'd love some ideas! What are you being for Halloween?